The award nominations continue to roll in for Star Wars: The Force Awakens. The latest nominations are for Kids Choice Awards, where several Star Wars projects are nominated. 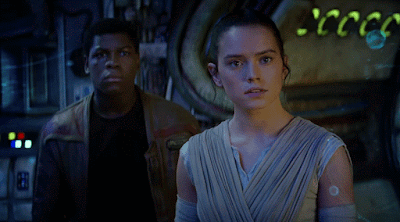 This includes The Force Awakens stars Daisy Ridley (Rey) and John Boyega (Finn) who are nominated for Favorite movie actress and Favorite Movie Actor respectively. The Force Awakens was also nominated for Favorite Movie, Disney Infinity 3.0 was nominated for Favorite Video Game, and Star Wars: Absolutely Everything You Need to Know was nominated for Favorite Book. You can vote in the Kids Choice Awards here.